We offer a new residential buy-to-let property in Liverpool, UK. This complex features a new concept in residential property. The complex provides luxury student accommodation - studios and apartments near Hugh Baird College. The development features 100,000 square feet of accommodation and unique leisure facilities spread over 14 stories. In terms of location, the development is within 10 minutes of Liverpool’s city centre and immediately next to Hugh Baird College. Tenants will have easy access to the Liverpool One shopping district as well as the city’s museums, art galleries, the Albert Dock and the waterfront. Transport links to the location are also convenient with close proximity to the city’s stations and a fairly modest taxi fare to John Lennon airport. Frequent buses connect the complex to key locations in the area, including all of the main universities. The location is perfect for people who work and study in and around the city. 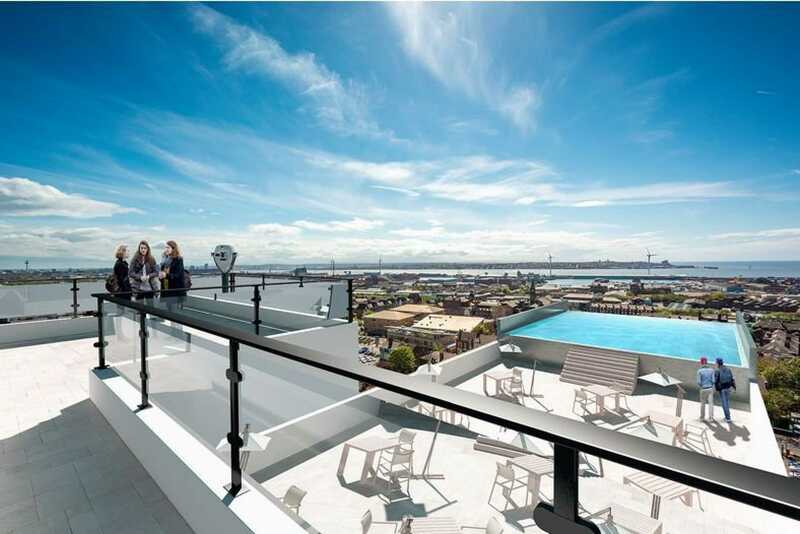 Boasting a 24 hour concierge service, a rooftop bar and restaurant, an infinity pool and a roof top garden with stunning views of Liverpool and the river, Daniel House presents an extremely appealing and lucrative investment opportunity in one of the UK’s fastest growing economies. 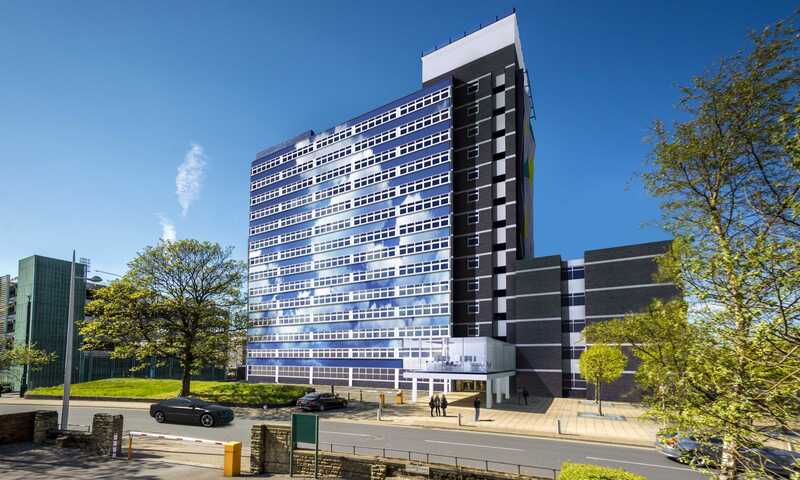 This former office block will provide luxury accommodation to the students of the near-by Hugh Baird College. The scheme has been designed to accommodate a range of different tenants from sole individuals to small groups of students. Available apartment units are 159. They include studios and 1-, 2-, 3- and 4-bedroom apartments. Each apartment will feature state-of-the-art appliances, modern fitted kitchen and a high quality fit-out, while owners will enjoy full use of the building’s facilities. The one bed apartments will make up the majority of the residential units. Why to invest in this complex? Residential buy to let investment opportunity with 250 year leasehold and up to 70% LTV mortgages. Guaranteed 7.5% net return for 3 years from a reliable management company. Renovated building with leisure facilities including a rooftop restaurant and bar, an infinity pool and a rooftop garden. Exclusivity agreement with Hugh Baird College for full board and overseas students – sustainable rental yields. Brought to you by an established developer with a proven track record of 3 highly successful hotels in Liverpool. Liverpool is undergoing a regeneration, led by business, arts, sports and a flourishing property market. If the client wishes to enter into the management agreement they must purchase a furniture pack. The developer will contribute 3% stamp duty on all purchases at the development as of today. As of the 1st April there will be stamp duty increases, as outlined below. The developer have agreed to pay the 3% on all property sales. For units priced up to £125,000 the developer will pay the 3% stamp duty. 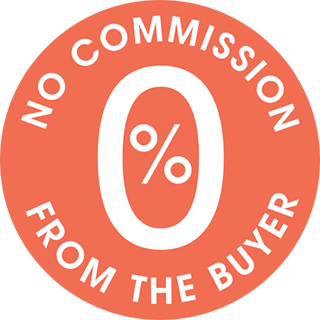 For units priced over £125,000 the developer will contribute 3% of the 5% stamp duty and the investor will be responsible for the remaining 2%. £5000 reservation fee, client has 28 days to exchange contracts (50% due), final 50% due on completion. Mortgages will be accepted on the 2, 3 and 4-bedrooms apartments, but not studio and 1-bedroom apartments. Investors can also apply for mortgages from other providers as they wish. If the client enters the rental agreement there is a guaranteed 7.5% net return for three years.